Odessa Teague Wood, 88 of Happy died April 5, 2019. The family will receive friends on Sunday, April 7, 2019 from 4:00 to 6:00 P.M. at Brooks Chapel in Canyon. Graveside services will be 2:00 P.M. Monday, April 8, 2019 at Memory Gardens Cemetery, 14200 Interstate 27 between Amarillo and Canyon with Rick Bloodworth, minister of the Happy Church of Christ, officiating. The youngest of 11 children, Odessa was born May 31st, 1930 in Cooke County, Texas near Calisburg, TX to Edd and Emily Hodges Teague. She married Billy Ray Wood in March, 1965 until his death in June, 1990. She was preceded in death by her parents, 3 brothers, Arthur, Cokie and Obie and 7 sisters, Marie, Eunice, Pauline, Ruby, Claudie, Goldie and Zada. Odessa is survived in death by a multitude of nieces and nephews that live in Texas, Arizona and Utah. The nearest relatives were niece, Emily Singleton and husband Larry, Joe Smith and wife Anita and great nephews, Dylan and Jackson, all of Amarillo. David Smith and wife Margaret of Lawton, OK and Paul Smith of Anson, TX. She is also survived by special friends and servants, Rick and Carolyn and members of Happy Church of Christ and the community of Happy, TX. She attended Happy Church of Christ. Odessa lived in multiple locations, Gainesville, Amarillo, Dallas, Ft. Worth, and Corsicana, TX and had a wide variety of jobs such as waitress, soda fountain jerk, elevator operator, laundromat attendant and the most important job of taking care of nieces and nephews for her sisters. 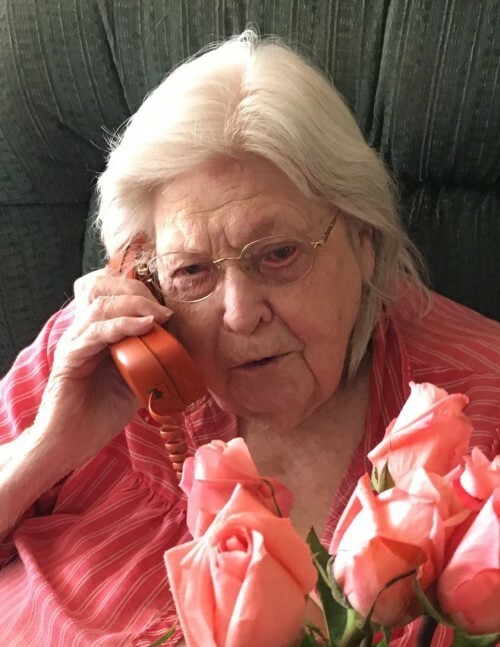 Her lifeline was the telephone and would contact nieces every day to check on them and staying connected. She was a giving person who loved the Lord and reading the Bible. In lieu of flowers donations may be made to Happy Church of Christ or Meals-On-Wheels out of Tulia, Texas.